Why should I try the Raindrop Technique? "click each statement for more details"
It can help with Pain! Combined with forms of massage (light touch, pressure, feathering, heat application) and Vitaflex (a form of reflexology), Raindrop Technique helps decrease muscle, bone and joint discomfort, improve movement of back, increase serotonin, and reduce occasional muscle soreness and swelling. The Essential Oils used in the technique reduce spasms and promote better functioning muscles, bones, and joints! Essential Oils used in a Raindrop are shown to decreases stress and strain of muscles, bones, and joints. Wintergreen- composed of 80-90% methyl salicylate. Thyme- absorbs certain free radicals. Peppermint- contains menthol as its primary chemical constituent and enhances the oils used before it. 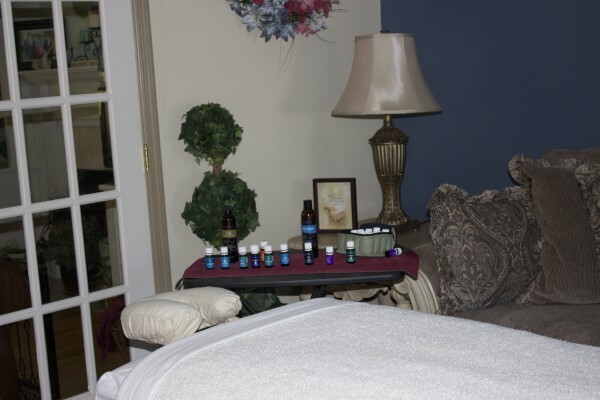 Manipulation of the skin, muscles and body structure through massage and Vitaflex dilates the blood vessels. Increased blood flow and circulation nourishes the cells significantly improving cerebral blood flow, decreasing serum cortisol, and increasing the functionality of the digestive system by reducing heart rate. It can Prevent Some Causes of Spinal Misalignment. Studies confirm that some organisms can lodge in the spinal ganglia, so helping the nervous system during stress can help one maintain better health. Let's face it? Who doesn't need to relax? Techniques in raindrop that mimic massage, have been shown to calm a person and allow relaxation. It is a conscious and subconscious thing to know that once on the massage table, one can let go of their troubles. Gentle, tender, and appropriate touch alone is calming and reassuring to people of all ages. Add in the light effleurage of Raindrop and the oils, and many have had quite pleasant results. Cypress essential oil used in Raindrop has been shown to decrease stress due to the alpha pinene chemical constituent. It has also been shown to help with the lymphatic and circulatory systems. It can improve your immune system. As cortisol levels diminish and dopamine increases, the mind can relax. Our bodies have more energy and more positive feelings. The immune system functions better when it is not as stressed leading to better health, fewer infections, and less illness. It can help you let go of negative emotions. It has been shown in many studies that traumatic, stressful, and harmful situations are stored in the amygdala part of the limbic brain. These become subconscious areas of unresolved mental, physical, spiritual, and emotional trauma. Therapeutic grade essential oils have the capacity to unlock these buried stressors, allowing one to consciously recognize, express, and release them. This can occur during or after a Raindrop Technique session. What Young Living Essential Oils are used during Raindrop Technique? Interested in learning more about Raindrop Technique? Register for one of Sherry's CARE classes! Absolutely! Where do I sign up?